White or tooth coloured fillings have been around for many years and are routinely placed in most front teeth. In recent years, new technologies have made it possible to place white fillings in back teeth where previously only amalgam (silver and mercury mixed together) or gold was strong enough. Traditionally the main reason for using tooth coloured fillings is for aesthetic reasons. As you can see from the photographs below the effect can be totally to hide the fact that the tooth has been filled. Another important reason for using white fillings is to strengthen teeth. 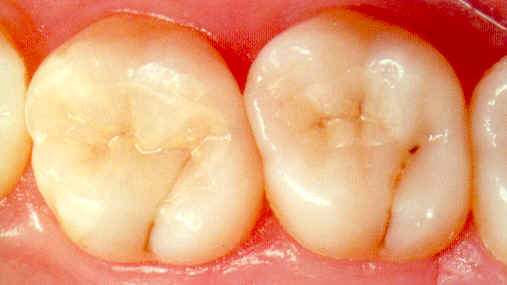 As the fillings get bigger the tooth becomes smaller. 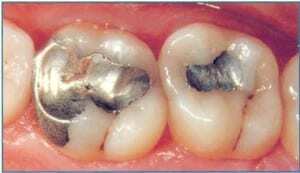 Also, the amalgam fillings do not generally bond to the teeth but work by filling the hole in the tooth. White fillings, in contrast, bond to the teeth and can help to hold weakened cups together. A more recent reason for the increasing use of white filling materials is the public concern over the safety of mercury fillings. 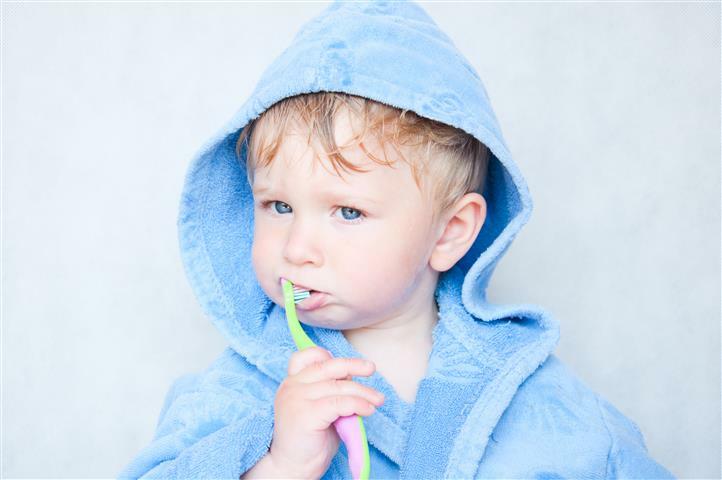 Despite reassurances from government agencies and from the British Dental Association many patients are favouring alternative filling materials to amalgam where possible.